Um, yes these are the BEST turkey tacos. It's not an opinion, it's a fact. Well, at least in my family it's a fact. I would say this is the fourth time I've made them and I think I will never buy another store bought taco kit again. These are just addictive tacos, man! 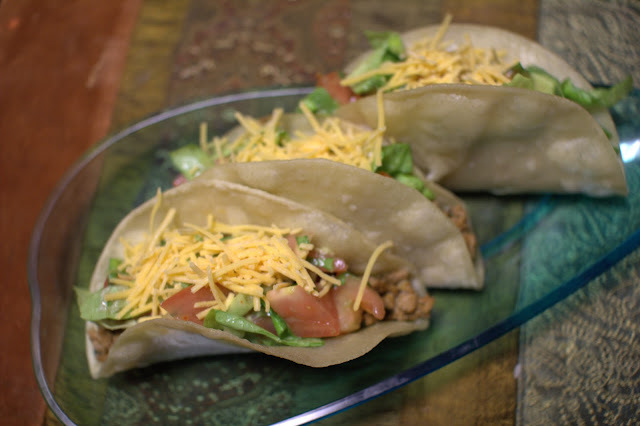 The taste of the turkey, the yummy salad on top, and the fact that you fry your own taco shells...Turkey Taco Heaven! 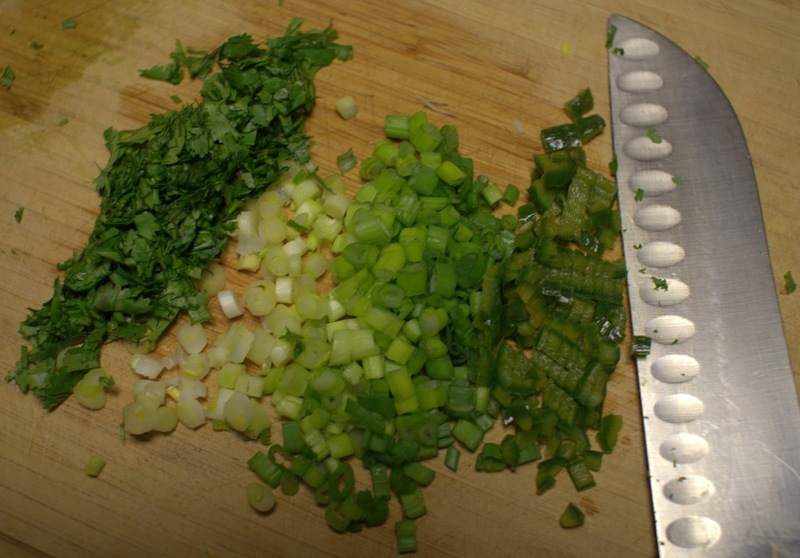 For the Taco Meat: In a large skillet over medium-high heat, heat the oil, cilantro, and scallions. Add the jalapeno and cook 1 minute, stirring constantly. Stir in the turkey, using a wooden spoon to break up the meat. As the meat is browning, stir in the garlic salt and chili powder. 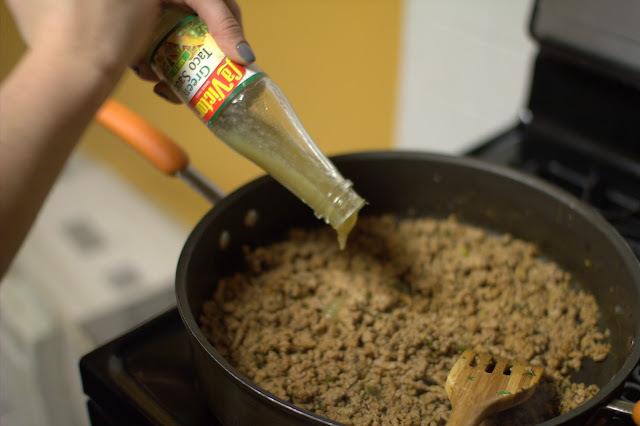 When turkey has cooked through, about 8-10 minutes, stir in the hot sauce and green sauce. Lower the heat to a simmer. Stir occasionally. 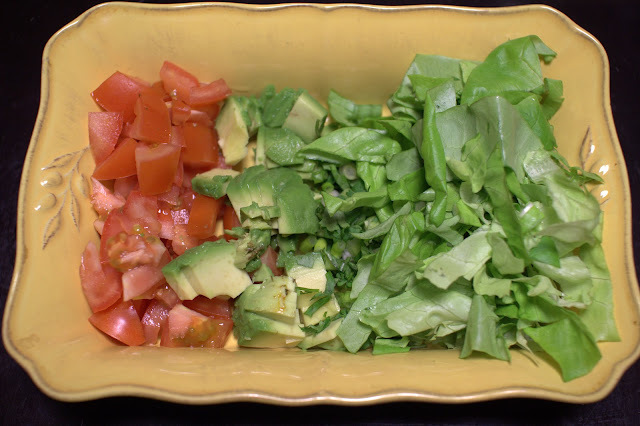 For the Salad: As the meat simmers, in a large bowl, toss all salad ingredients with the dressing. Refrigerate until needed. Line a baking sheet or large plate with paper towels. In a medium skillet, heat the oil over medium-high heat. 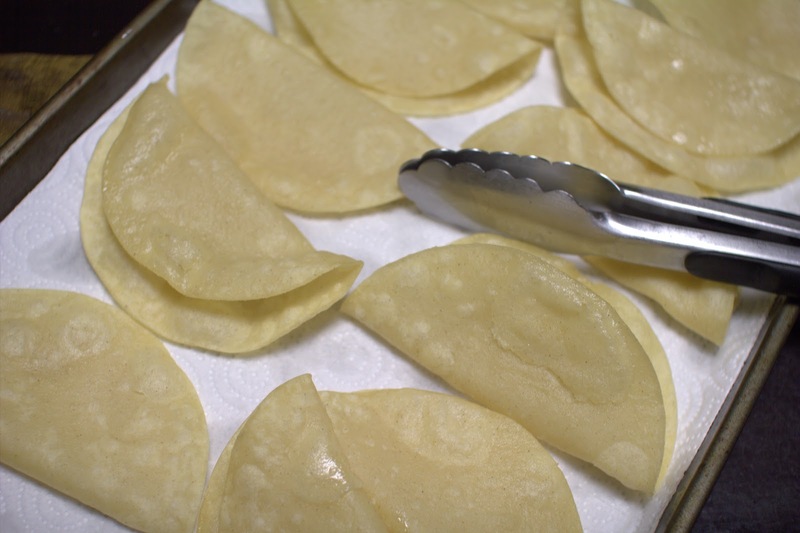 When the oil is hot, use tongs to place a tortilla gently in the oil one at a time. After only 5 seconds, in one motion, turn the tortilla over and fold it in half. Cook 20 seconds, flip and cook an additional 20 seconds. Lift out of the oil and drain on the paper towels. Repeat with the remaining tortillas, one at a time. (The shells should not be too crisp when they come out of the oil. If they become too crisp tacos will be difficult to stuff). 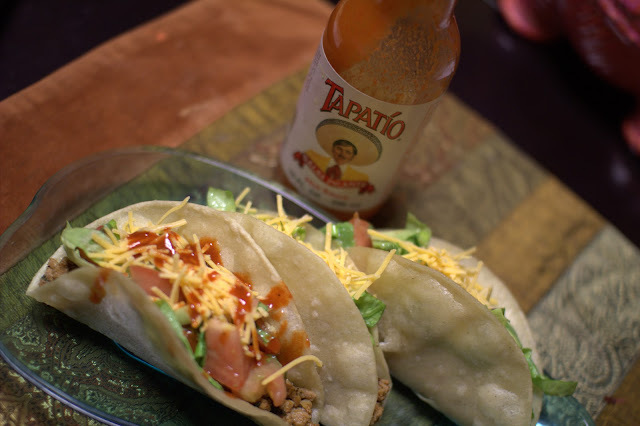 Assemble the tacos by spooning the meat into shells and topping with cheese, salad, sour cream and Tapatio (if you dare). I'm so making this tonight!!! Looks so delicious.